Here at hog roast Braintree we love the Winter months just as much as the Summer months because Christmas time is when we are almost fully booked for corporate events something that we enjoy because everyone is always in a great mood after a glass of mulled wine. The guests are the ‘spectators’ to start with, as they watch the hog roast Braintree meat slowly roasting on the spit, and then when it’s cooked to a turn, the action begins as they get stuck into their feast – a game of two halves, you might say. As for us, we have one goal in mind, and that’s to ensure everyone at their event has the best possible time. We always enjoy meeting new people and we’ve had some great times during our events in and around Braintree, they’re a very warm and friendly lot of people. 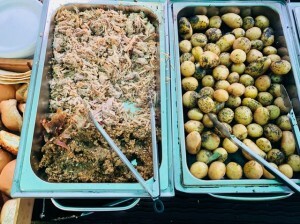 Oh and do they love a good hog roast, we love summer because we will be meeting hundreds more, hopefully hungry, folk because we’re gearing up to cater for a whole host of events. 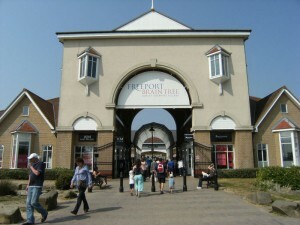 Some repeat bookings that we get every year will be held in gardens – a couple of them are going to be located by a swimming pool – while others will take place in some of Braintree’s finest hotels and pubs, as the town boasts an impressive range of hostelries, from old coaching inns to more modern venues. And while we’re all in the sporting mood, I simply have to say our food is in the premier league: the menus range from an informal hog roast in a soft floured roll, to a formal sit-down affair, with a choice of pork, chicken, turkey, lamb or beef; gravy, stuffing; potatoes in herb butter or salads including green leaf, coleslaw and tomato and basil to name a few. We have a wide range of menus available for wedding catering as we at least cater for two a month, with canapés, starters, main meals, evening buffets and the choice of desserts you really could wow your guests with a banquet of food. We can also cater for children and provide them with hot dogs or burgers with bread rolls so you wouldn’t need to worry about that. And our Christmas special offer is a wonderful winter warmer menu. So the name Braintree is slightly strange, they say it originally came from Bronocs tree. A few well known people have come from Braintree like the dance/music sensation The Prodigy, and they are properly the most well-known residents. Maybe you’re hosting your own party this year perhaps for Halloween or bonfire night? a chance to gather all your friends and family together to have a good time. 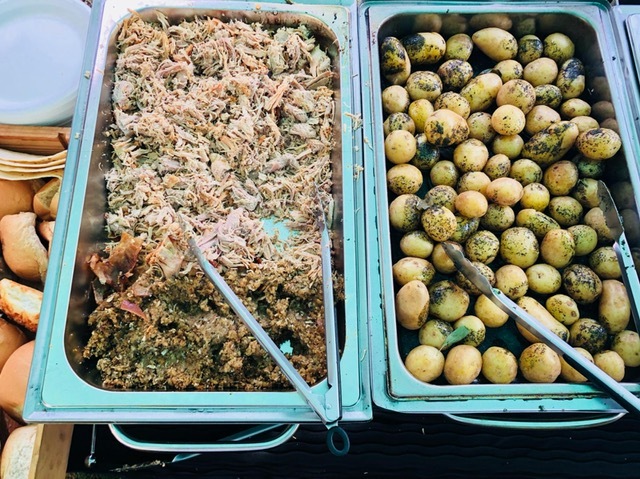 If so you may want to host your very own Braintree hog roast hire, here at Braintree hog roast you can hire one of our fully equipped hog roast machines for the day with a freshly prepared pig or any other meat you fancy. One of our chefs would deliver it the day before if that’s easier for you and they can show you how to set it up. It would come with a full canister of gas. 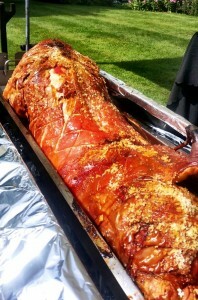 Our hog roast Braintree packages are many and various and we also cater for vegetarians. The menus can be tailor made to suit any event and all the food is prepared on site so it’s always delivered at the very peak of freshness. Given the great feedback we’ve received so far, we always seem to have hit the target with our sporty friends in the Braintree area, and we take that as a real compliment because our work here at hog roast Braintree is also very much a team effort, from the chef to the catering assistants to the waiting staff. We all pull together to create the perfect service for our customers. And because they love what they do, each one of them strives for a personal best every time. So here’s to a sporting summer with plenty of cheers for Team GB – and Team SPB (Spitting Pig Braintree) – to go for gold!